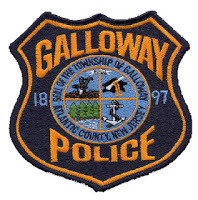 The Galloway Township Police Department is hiring for the position of Class II Police Officer. Applicants must be a U.S. citizen, be at least 18 years old, have a High School Diploma or state certified G.E.D., read and write the English language proficiently, have no criminal record, be of sound moral character and possess a PTC certification for SLEO II. Recently retired Law Enforcement personnel with PTC certifications are also encouraged to apply. The Department will work with recently retired Officers in order to gain a PTC waiver for Class II certification. Applicants may email a Letter of Intent, resume and a copy of their PTC certification to apps@gtpd.org or by delivering those items in person to the Galloway Township Police Department at 300 East Jimmie Leeds Rd, Galloway NJ 08205. Salary is set at $14/hr. Applicants must apply by 5pm on April 5th 2013. .Galloway Township is an E.O.E.